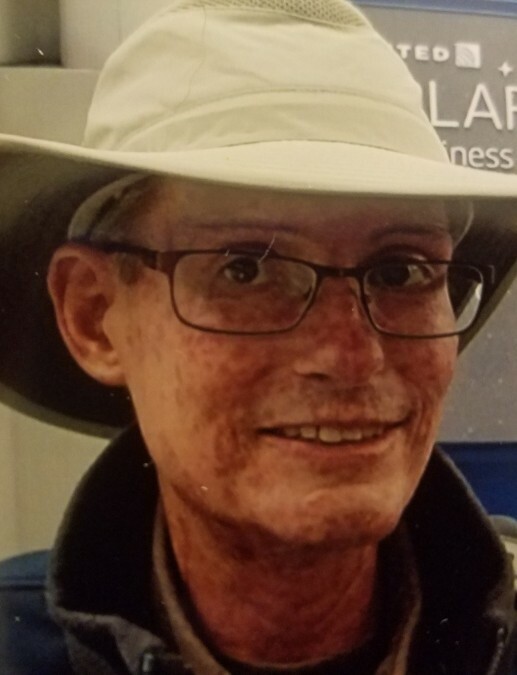 Gregory J. Christensen, 56, of Madison, Wisconsin, peacefully passed away on December 1, 2018, at home surrounded by his loving family. He was born on August 11, 1962, at Lockbourne Air Force Base, Ohio, the son of John and Elaine (Greiman) Christensen of College Springs, Iowa. He was one of four children. He served in the United States Army and graduated from Iowa State University with a degree in mechanical engineering in 1988. On December 29, 1990, he married Peggy Sue Peterson in Albia, Iowa. He was employed by Belltech Utility in Maywood, Illinois; Quaker Oats in Cedar Rapids, Iowa; and Kraft Foods in Madison, Wisconsin, as a process mechanical engineer on the global services team where he retired with a disability in 2000. He volunteered with Cub Scouts Pack 628 and Boy Scout Troop 628 and also as a Sunday School teacher with Good Shepherd Lutheran Church. He loved to share his knowledge of the outdoors, his hobbies and work life, and enjoyed being a mentor for his sons and the Scouts in the pack and troop. He is survived by his wife, Peggy Christensen, and two sons, David Christensen and Dane Christensen, all of Madison; his parents, John and Elaine Christensen of College Springs, Iowa; two sisters, Jonith (Steve) Grundmann, of Duncan, Oklahoma, and Sheila (Stuart Macrae) Christensen of Port Townsend, Washington, his aunts and uncles, Eldon and Judy Greiman of Le Claire, Iowa; Shirley and Donald Christensen of College Springs, Iowa; and Carl and Terry Christensen of Albuquerque, New Mexico; his cousins; and many nieces, nephews, great-nieces and great-nephews whom he adored and was very proud of. He was preceded in death by his grandparents, Newell and Charlotte Christensen, of College Springs, Iowa, and Maurice (M.O.) and Delilah Greiman of Clarinda, Iowa; an uncle, Everett Greiman, of Alaska; an aunt and uncle, Myron and Doris Tritsch, of Clarinda, Iowa; and his brother, Jeffrey Christensen, of College Springs, Iowa. A visitation will be held at Ryan Funeral Home, 220 Enterprise Drive, Verona, Wisconsin, on Thursday, December 6, 2018, from 5:00 p.m. to 7:00 p.m. A Funeral service will be held on Friday, December 7, 2018, at 11:00 a.m. at Good Shepherd Lutheran Church, 5701 Raymond Road, Madison, Wisconsin, with Pastor Chris Enstad presiding. Please join us for a luncheon after the service. Interment will be at the Maple Hill Cemetery, College Springs, Iowa, with a graveside service on Sunday, December 9, 2018, at 2:00 p.m. by Pastor Nathan Dudley of St. Paul Lutheran Church, Clarinda, Iowa. We would like to thank Greg's amazing medical team, Dr. James Runo and Dr. John Juozevicius, for all of their expertise and care during the past 10-plus years as he dealt with his scleroderma and pulmonary arterial hypertension; Heartland Hospice for their tender loving care; and special acquaintance Venice Von Dorn of Comfort Keepers for her friendship and care provided to Greg and the family over the years. In lieu of flowers, memorials may be made to the Pulmonary Hypertension Association, Boy Scout Troop 628, or the Good Shepherd Lutheran Church Building Fund.